2011 was an amazing year on the research and discoveries I have made about my family. It took me about 1 year, but I think I have uncovered all the "low hanging fruit". The family information which is easy to find. 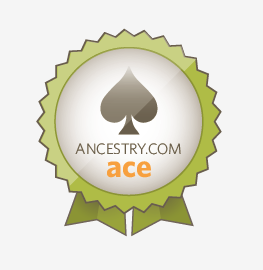 In 2012, it will get harder to find new items about my distant family members, but that is what makes it exciting. Prove my Mayflower ancestry. I am 80% certain, but I am putting a few last pieces together before I am willing to make the final leap to putting it onto my blog. Once I have that information, I can apply for membership to the Mayflower Society. Find David Fuller. David Fuller, my 3rd great grandfather died between 1855-1860. I want to make it a focus to uncover a death certificate, probate information or other evidence of where and when he died and his connection with the Horton, Nova Scotia Fullers. Uncover John Armstrong's (1731-1822) father and origins. I have traced one line of my family to John Armstrong in Falmouth (now Portland, Maine), but I can't seem to find his parents. It seems likely he is descended from the early Ulster-Scotts who arrived in 1717/1718 to Portland, Maine. Now I have to prove it. DNA Test. I want to see if I can find any clues about my father's father's family. My dad was adopted and I have connected with his mother's family, but not had a starting point for tracing his father's family. Track down my Rusyn ancestry in Poland. My mom's family, the Gula's, came from a small town in present day Poland. I want to obtain some documents from Poland and start tracking down my family back to Europe. I am sure I will uncover a lot more than 5 things in 2012 in my family research, but let us see how well I can do with these key challenges and see what the new year brings.